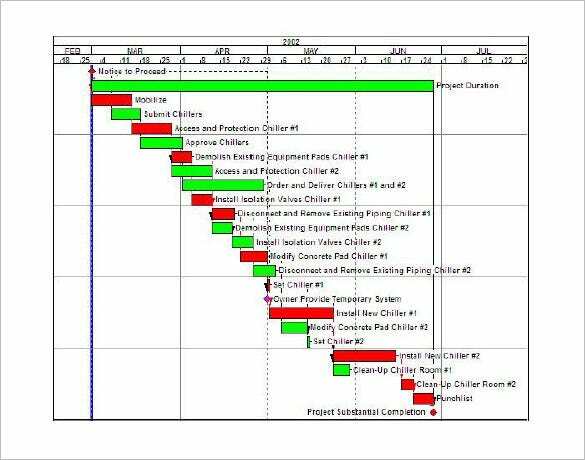 Mapping down a construction schedule of an on-going project is not a child’s play. 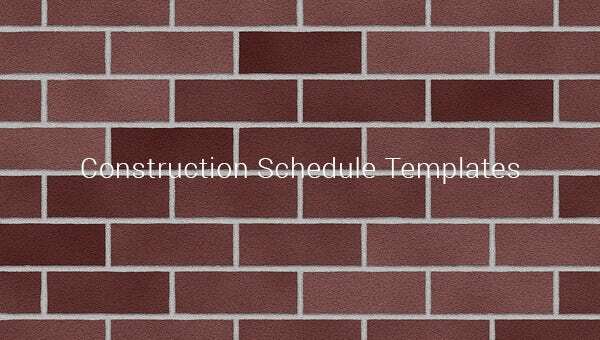 However, our easy to use, construction schedule templates help you organise and manage every single step of an elaborate construction in a smooth and simple way saving time and energy. 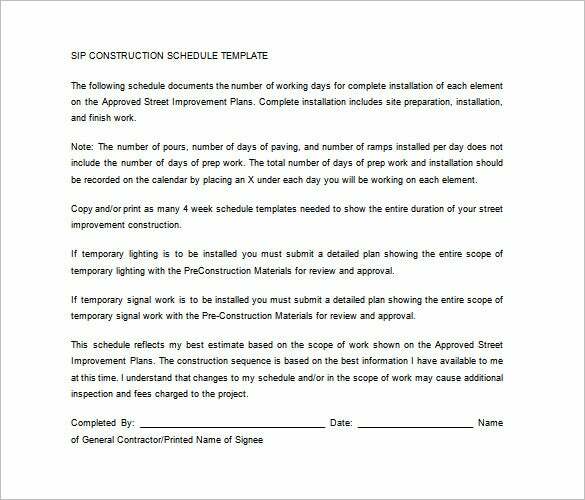 It is also easily accessible in Word and PDF format. 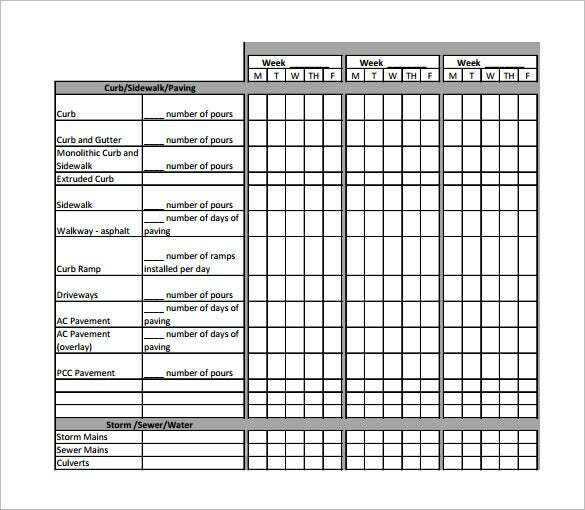 You can also see College Schedule Template. 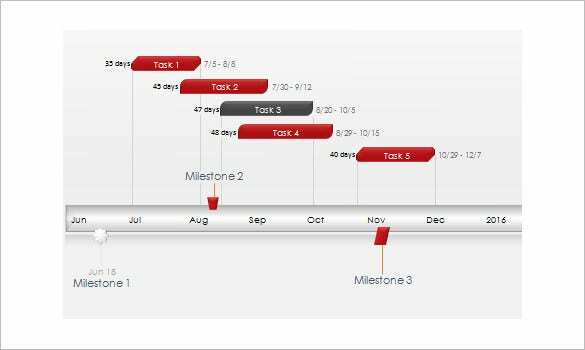 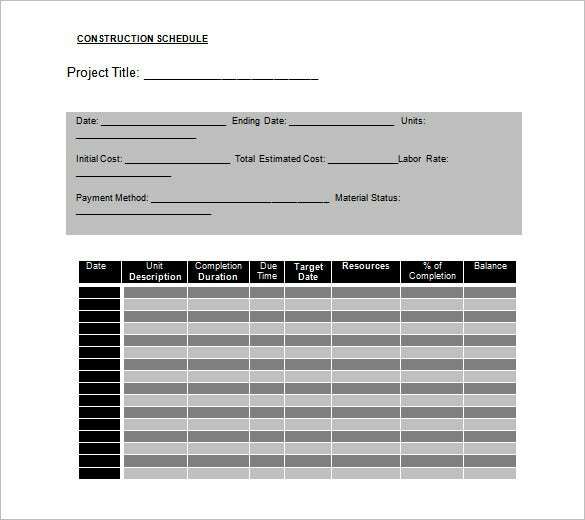 A well made construction schedule template free if presented to the client demonstrates your precision and organisational skills creating an impression. 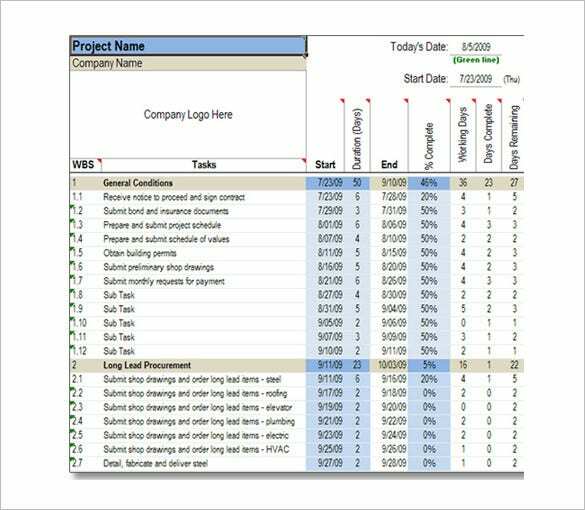 To edit or create templates, just download samples of your choice from our wide variety of examples at the click of a mouse and get going.